Look, y’all! It’s my old planner system!!! Yes. That is a prancing pony sticker on it. One of the girls thought it was a little on the drab side and decorated it for me. Wasn’t that sweet? And yes, I tried to peel it off and no, it wouldn’t come off so yeah. This went AWOL two years ago, surfacing yesterday when I was removing books from a shelf which has gone to storage. I flipped through my goal sheets and my project notes for the various irons I had in the fire at the time. All planning appears to have ceased rather abruptly on March 10. March 10 is scheduled right down to 6:00; from March 11 on, there is nothing but the highest level notes on the monthly tabs. You know, there are some things in life which, though painfully obvious, still manage to blindside me. For example, the fact that if one has four children, there will come a point where a service for 8 is not going to be enough dishes. Even though it seems like a lot of dishes – it isn’t enough. Laundry I was prepared for – the fact that in the course of a normal day with everybody home I might run the dishwasher not once or even twice, but up to three times in a single day? Came out of left field and left me sitting on the ground with a headache. 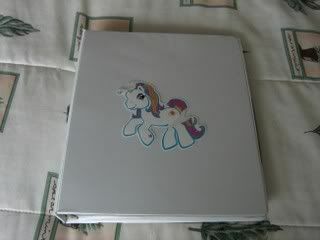 Before this slick, professional planner case, I used another plain old binder. It had one (1) groovy feature, which was that it could stand up like a presentation easel, only vertically. Ooooh, aaaaaah. But then, the little stand part broke and shortly thereafter the binder itself kind of…well, it fell apart. Apparently, I am very hard on my planner binders. Well. Not apparently. I am. I treat them with a shocking disregard for their delicate natures. I literally throw them into vehicles, I shove them into backpacks, I use them as plates when eating bagels, and, well, you get the idea. …but I’m not using the planner. I carry it with me, but I don’t actually then use it. I tried to use it like a purse, but frankly it is awkward to get into and also when you open up a planner at McDonald’s and start scrambling for your cash, people get nervous – they expect you to start selling them things. Because apparently only people who are going to sell you get-rich-quick schemes carry these things into a McDonalds. It also has six rings, which is one of the more annoying aspects to day planners. I know it is supposed to be a “kit” thing and that there is probably some kind of prestige involved here that I am (as usual) missing because I’m much more about ‘function’ than ‘hey look, it’s a $Expensive_and_Exclusive_Designer bag!’, but it drives me up a tree when I can’t just stick binder paper into my planner. I use binder paper for 99% of my planning. Cheap, college ruled binder paper, people. I use it for everything from plotting the course of our lives to doodling out what’s for dinner. As I’m attempting to start the process of pulling our lives back together around here, I’m finding it very hard to do the one thing I know I really, really need to do: Use the planner. With four kids going off in different directions, with all the appointments and lessons and vacation days and ‘oh by the way honey I’m going to be in Seattle for three days next month’ stuff that goes on in the Den, not having everything centralized and accounted for in the planning process is opening up the door and inviting the tornado into the house. I need a new binder. (While I know it doesn’t look it in the picture, the old one I just found is actually already beginning to split apart.) 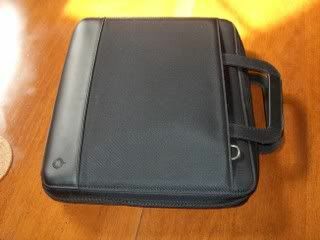 Just a plain old binder, an inexpensive three ring binder big enough to accommodate some folders, monthly and daily planning sheets, and a 200-sheet package of college ruled paper. A $2 binder. And two, three Pee-Chee folders maybe. 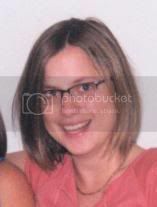 Which is humorous, considering that the one I have in that picture there runs somewhere around sixty or seventy bucks new. It really is very, very nice. Yessir. Nice. Fancy! 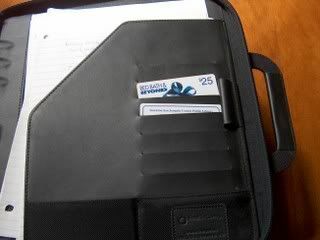 And, uh, I’d really like a plain old 2” plastic binder now, please? There are so many systems out there. Filing systems, housework systems, parenting systems. All of them promise one-size-fits-all solutions to everything from career management to managing your pantry. And yet, as clearly evidenced by the world around us, we are not a one-size kind of world. And when you try to jam something of one size into a system of another, well, it doesn’t work out too well. I had a boss who had an Official Planning System™ like this one, and he would actually decide what cell phone he would get based on how it fit in his planner, he was that fond of it. The very sight of it calmed and energized him, made him feel comfortable and in control, he loved the feel of the leather and felt ready to get down to business when he regarded its six rings and slick indexing. It makes me feel energized and ready to deal with it. We never could see eye to eye on that. He’d get a nervous twitch whenever he saw my binder sprawled open on my desk; and his planner made me clutch my coffee closer because I lived in mortal dread of the day when I would, in a moment of glorious inattention, douse the thing with both barrels of my double latte. Which is a long way of saying, Find what works for you, whether it be pantry-organizing or life planning, and run with it. It isn’t about the system, it’s about you. Yes it is. All about you. Your life, your happiness, your ability to get what you want, your hopes and fears and joys and dreams. The system will just have to mold itself around you. If you're going to be in Seattle for a few days next month, I hope I can be expecting an email from you! I used to use a Franklin system and used the crap out of it, but then I got all high-tech and went to a PDA, which isn't nearly as handy. It's nice to be able to sync it from my computer and all, but you can't WRITE in it. Well OK, you can, but you know what I mean. It's so pretentious to be in the grocery store with your little silver box and stylus... I may go back to Mr. Franklin. I write on the back of my hand. The Cave Troll gets stamps on the back of his hand for good behavior during gymnastics...when he sees my writing on the back of my hand, he says, "Good job mama! You got stamps!" We use a calendar, one of the big desk blotter kinds. I put magnets on the back and hung it on the exterior metal door next to the kitchen. Any reminders get transfered to my cell. Don't forget a new pony sticker (Strawberry Shortcake is kinda cool too). I'm a terrible planner and my brain is going mushy from trying to keep all the stuff I need to know crammed in it. I bought a binder and printed off some calendars but.......meh.....not lovin' it.